Dave Phinney’s Locations series is worth checking out.The winemaker behind the iconic Prisoner brand from Orin Swift Cellars, Phinney now does cross-appellation blending sourcing grapes from several, often widely dispersed vineyards, to make a wine that reflects the flavor profile of that larger region. This is a relatively new concept in some parts of the old world such as France or Italy. It’s exceedingly common in the U.S. 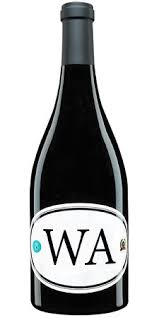 He also does away with vintage dating; the number in the wine’s title (WA5) refers to the version of this wine which may include grapes from multiple vintages. I’ve enjoyed several wines from this series. It is a successful concept especially from the production side allowing a great deal of flexibility. 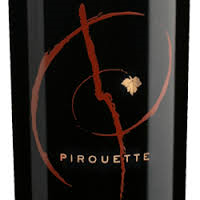 This blend of Syrah, Merlot and Petite Sirah is full of flavor but has a distinctive, unusual evolution and mouthfeel. Deep purple in the glass, aromas of blackberry, mocha, autumn leaves prevail acquiring anise notes on the palate. Very dense up front, the midpalate ramps up the acidity which really takes off as the finish launches. The acidity is impressive giving the wine an angular momentum as sharp as a sword cut through the dark, ripe flavors. The wine hints at lushness with a soft, smooth underbelly but topped by that spine of acidity it gives an impression of ruggedness. The tannins feel refined and polished until the back end of the finish where they turn powdery but with some chalk-like resistance. Atmospheric but brash and confrontational, the music pairing was a surprise. Music with too much tension boosted the effrontery. But Cannibal Resource by the Dirty Projectors with its soaring vocals and brittle guitar calmed the demons and reinforced the atmospherics, a wine euphoric but unsettling. Technical Notes: Aged for 10 months in French and American oak. I was surprised to find some of this still on the shelves at Bevmo. A genuine bargain when first released at $7 (Wine Enthusiast gave it 90 points), at $9 and with more bottle age it’s still drinking well if you like fat, juicy wines. The intense nose shows aromas of ripe blackberry, raisin, a bit of animal and is just beginning to show a hint of old books. It’s juicy and plummy on the palate, the sweet cola too prominent, but a seam of minerality lightens the weight salvaging the wine. Round and plush, the tannins have presence but have turned pleasantly supple, supporting a short finish unfortunately marred at the very end by a sour note. 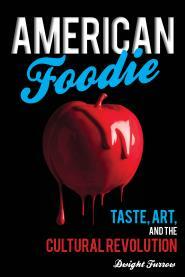 A swollen, dark, lugubrious mass with lots of flavor, it nevertheless feels a bit cartoonish, a satire of opulence. But a good satire is worth $9 isn’t it? 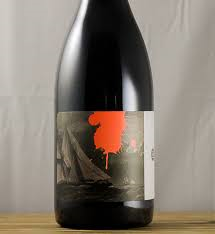 Blackout by Hybrid brings the dark background complexity, turgid pace and leavening vocal that resonates with this wine. Technical Data: This is a blend of Tinta Roriz, Alicante Bouschet, Cabernet Sauvignon, Caladoc, Castelao, Pinot Noir and Touriga Nacional from three estates in Lisboa, Portugal. The wine is fermented in stainless steel and aged for one month in bottle before release. 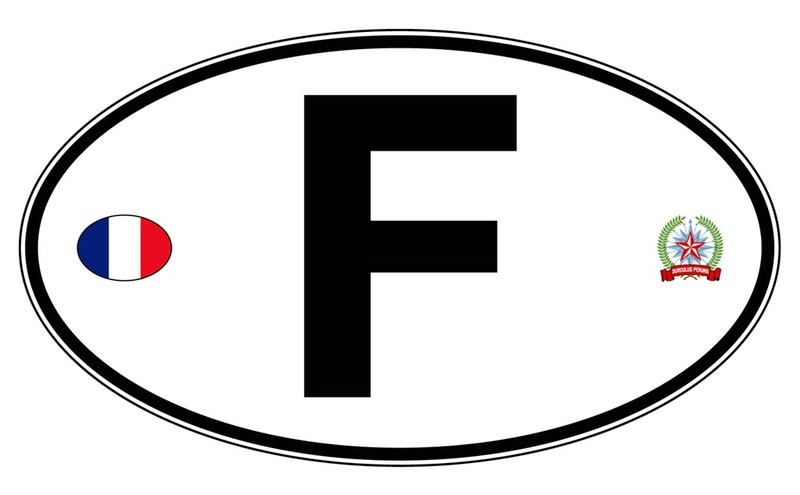 Locations is Dave Phinney’s value wine project. He sources grapes from several areas of a country and creates unique blends that evoke a strong sense of that country’s flavor profile. This one is very French despite being a mash up of Rhone and Bordeaux varietals with a bit more alcohol than is typical. It’s the dusty earth that gives away its location, colluding with dried red berry, blackberry, coffee and cedar for an effusively aromatic nose. The palate’s introduction is full bodied, polished, and juicy. But just when you think the wine will turn soft and unctuous, edgy tobacco shows up on the back of the midpalate joined by a layered, muscular mouthfeel with a gravelly substratum, a sunny bearing filled now with resistance and depth. The medium length finish shows licorice and just a touch of wood, the tannins both sumptuous and textured. A well balanced, beautifully crafted wine for this price. Technical Notes: A blend of Grenache, Syrah, and various Bordeaux varietals, from Roussillon, Rhone, and Bordeaux. 10 months in French barrique. Wine should not be about fruit alone. Some winemakers go fruit crazy, often ignoring all the other aromas that can grab our attention and make us wonder how grapes can do that. So I immediately fell in love with this wine because of the distinctive aroma. TX 6 is made by Dave Phinney, founder of Orrin Swift Winery and creator of “The Prisoner”, one of the best known wine brands in the U.S. Phinney’s recent project, Locations, is built around the idea of buying fruit from the best vineyard locations in a particular region and blending wines that represent the region’s distinctive character. 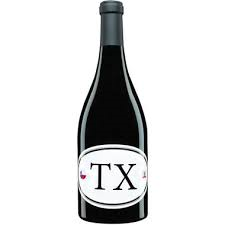 For TX 6, Phinney has partnered with Kim McPherson of the legendary McPherson Cellars in Lubbock, Texas to make this blend of Grenache, Mourvedre, Syrah, Carignan and a small quantity of Bordeaux varietals. If you’re surprised to see a world class winemaker working with Texas fruit, don’t be. I recently returned from three weeks of tasting in Texas, and the region has enormous potential that has matured enough for the rest of the world to take note. On this intriguing, distinctive nose, a meaty, salami-like aroma plays well with herbal and black pepper notes in support of red plum. The palate is juicy and round right from the git go with surging acidity at midpalate giving the wine lift. 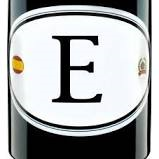 Sleek tannins emerge slowly but firm up nicely lengthening the finish that shows good fruit power throughout. From plush beginnings the wine develops backbone and verve yet never loses its sweet disposition. It sees only neutral oak and is untainted by overt wood. A well crafted wine and and a good value. Review based on an industry sample. From Michael Cruse, the San Francisco Chronicle’s winemaker of the year in 2016 comes this mélange of Valdiguie, Tannat, and a field blend. Valdiguie is a once widely planted grape in California recently fallen on hard times. It makes a fruity, light wine but this blend has some character. Cruse makes a variety of wine styles some of which fall under the category of “natural wines”. Monkey Jacket qualifies since there is no added sulphur, no fining and no filtration. This is a bright, ebullient wine with candied cherry upfront, gaining a layer of stony minerality on the midpalate, soft but with some tension from subterranean tannins that are surprisingly persistent and drying. This is a bit like quality, Crus Beaujolais but with brighter, rounder fruit. On the nose it’s red berries, clove and cinnamon with bright orange zest highlights and evocative traces of something a bit leesy that comes and goes. It appears superficially simple, gently amiable with its quiet, yet fulsome fruit power but as it evolves it shows flashes of a quirky, understated asperity, a soft powdery foundation accompanied by high-toned angular acidity darting around the mouth. Its fun and serious. Good juice. A Donald Fagen wine, smooth and hip but with subtle sardonic wit. Here comes the H-Gang. 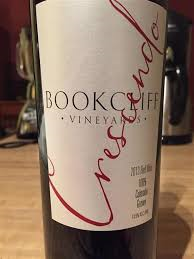 Bookcliff Vineyards is one of the better known wineries in Colorado, in part because several of their wines won awards at the 2016 Governer’s Cup. Tasting their wines is a bit of unfinished business for me; their winery and tasting room is in Boulder so they were not on my itinerary last year during our visit to Grand Junction on the Western slope where the grapes are grown. So I ordered two bottles out of curiosity. Of the two wines I tasted, the most impressive was their blend of Syrah, Petite Verdot, Cabernet Sauvignon and Souzao called Crescendo (2013). This is a gorgeous, soul-stirring wine. Intriguing notes of cinnamon and coriander with floral highlights mix with dark and red berry fruit to yield a nose of some complexity and depth. The palate is rich and luscious with full bodied mocha permeating the layers of dark fruit. A slightly angular edginess gives the wine lift introducing a medium length, radiant finish that brings together concentrated spice notes with fruit that persists until the end in a grand finale. Toasted oak plays a subtle supporting role and do the softly resonating tannins. This is a very satisfying wine and quite unique with Syrah and Petite Verdot forming an unusual marriage that seems made in heaven. Large and dimensional while remaining winsome and captivating, it’s too bad Valentine’s Day is past. The 2013 Ensemble, a Bordeaux-style blend was one of the award winners but only the 2014 (47% Merlot and 45% Cabernet Sauvignon), is now available. Vintage variation is significant in Colorado and perhaps the 2013 was meritorious but I found the 2014 disappointing. Dark plum laced with substantial coffee aromas dominate the nose with pencil lead and dusty earth in the background. The medium bodied palate shows more coffee and spice but they quickly give way to bracing, lemon-tart acidity which leaps out of the midpalate and takes over the experience. The wine has vitality and a core of juicy fruit but sour notes are unrelenting causing the finish to fall apart. 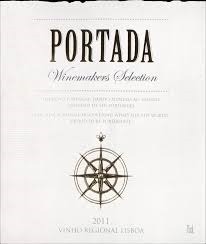 Between excessive oak and sour acidity, I wanted a firmer fruit anchor from this blend. But at the reasonable price of $20 it offers good value if you prefer this style. 86 pts. How would my favorite budget winery do when producing my least favorite wine style—budget red blends? Of course some of the best wines in the world are red blends. But what passes for red blends these days on the supermarket bottom shelf are usually syrupy, clunky, candy wines designed for entry level drinkers finding their way past the soda aisle. There is nothing wrong with that but it’s not to my taste. I ignored this bottling for several years wondering if Bogle had sold out. Happily the answer is no but I retaste it occasionally just to be sure. This blend of Old Vine Zin, Syrah, Cabernet Sauvignon and Petite Sirah has ripe blackberry jam, clove, herbal notes and dark chocolate on the nose. In the mouth there is just a hint of sweetness with high toast charcoal, and coffee introducing the weighty midpalate and tannins with some grip propelling a somewhat woody finish. This is sturdy with a very firm texture as it evolves on the palate, even a bit hard for a supermarket wine. It gives the impression of lushness at first but becomes bold and manly as it progresses. Not striving for finesse, this is not my favorite wine style but it is very good at what it does. Bogle is producing over 2 million cases per year and it’s still growing. They are one of the few budget wine producers that still ages in barrel. This wine does nothing to harm Bogle’s reputation as the quality king of the $10 wines. Aged 12 months in American and French oak. Serve with a 36 oz. ribeye and a platter of mountain oysters; and bring the Foo Fighters along. Everybody’s favorite budget wine hits the sweet spot again. 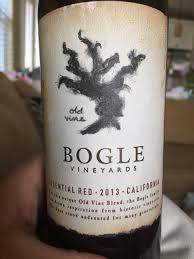 Bogle is known for producing varietally correct wines for around $10. A few years ago they introduced this blend of Zinfandel, Syrah, Cabernet Sauvignon, and Petite Sirah to respond to the increasing popularity of blended wines. Most of those inexpensive blends are awkward and excessively sweet. But leave it to Bogle to do it right. On the nose ripe plum and blackberry with some raisin character are surrounded by spicy black pepper and musty earth, with hints of oak and thyme providing aromatic depth. More dark berry with some wood on the palate. Full bodied, soft and caressing at entry, the flavor drops off quickly with dried fruit becoming dominant but the spicy finish then creeps up on you. Tannins are fine-grained but more persistent than the first impression would indicate—the influence of Petite Sirah no doubt. An interesting complex, profile and evolution on the palate, warm, luscious, but also intriguing. There is a little bit of sweetness, a bit over-ripe for my taste, but it’s under control. 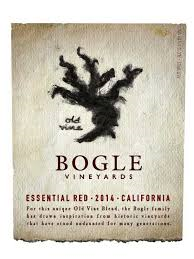 One reason for Bogle’s quality is their use of genuine oak barrels for aging instead of oak chips, unusual at this price. This one is aged 12 months in French and American oak.